JOIN US AT THE SYDNEY TRAILER BOAT SHOW AT SYDNEY OLYMPIC PARK THIS WEEKEND! 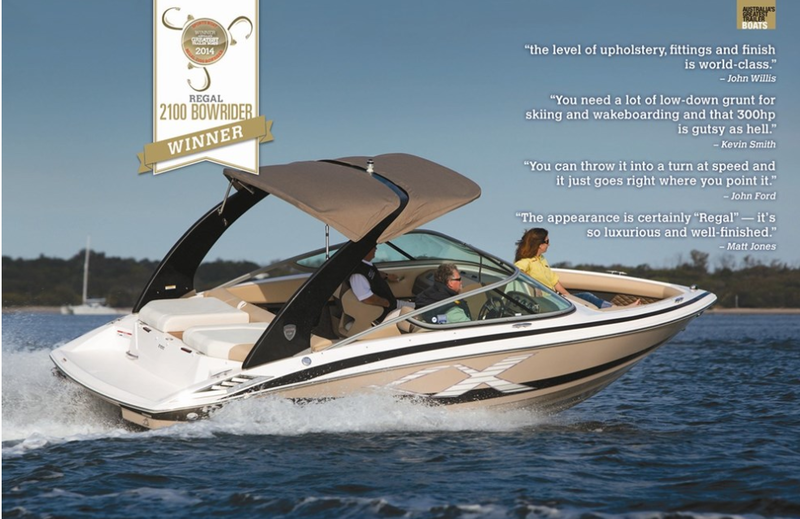 Excitedly, we're gearing up for the Sydney Trailer Boat Show this Saturday and Sunday, 7-8 March, where we will have our award winning Regal 2100 on display! This show is always brilliant for us and we never get sick of all the attendees coming back to our stand to tell us we have the best boats at the show! Our Regal 2100 always takes centre stage and this year it's no different. The 2100 is our biggest seller and there's so many reasons why! For starters, there's the massive cockpit space, which is comparable to the next size up in another brand, and you will love the 26% extra performance from your engine and 30% better fuel economy! Of course, the head turning factor and supreme drive and handling is always going to make you beam from ear to ear! One drive on a 2100 and you'll be hooked! Our 'Best in Class' 1900 ES is the better choice if you want the performance of the Regal 1900 but with extended seating. Featuring the award winning and patented FastTrac hull,* which is proven to be the fastest, smoothest and driest ride in her class. This world‐class performer also boasts an 8'3" beam, more beam than all others, a walk‐thru transom and a bounty of standard equipment. *Regal's FasTrac Hull is a stepped system built into the hull that allows the boat to travel on a pocket of air. 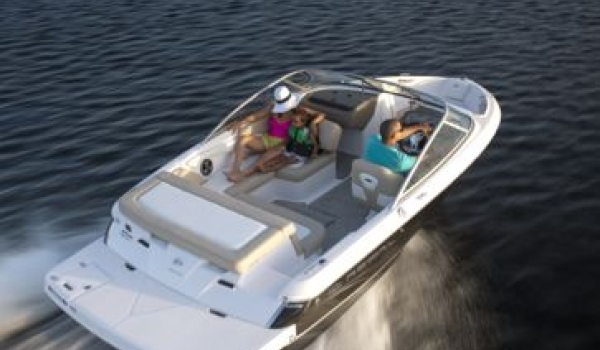 full mid-beam step reduces drag and friction by forcing air underneath the hull. With decreased drag the FasTrac Hull increases fuel efficiency by up to 30% and raises cruise speed by 26% over the competition of similar weight and propulsion. Our Regal 24 FasDeck will take centre stage at the entrance of the Trailer Boat Show and with our stand just moments away, we look forward to talking to you about the reason why this is the only boat of choice in the mid range offerings for your dream day boat! You will love the following:- Award Winning FasTrac Hull, which makes it the lightest, quickest and strongest in its class 26% Better Performance from your Engine and 30% Better Fuel EconomyThe Deckboat has a swim ladder at the bow making beach picnic drop offs and pick ups a breezeConvertible sun pads make this boat social and relaxing. 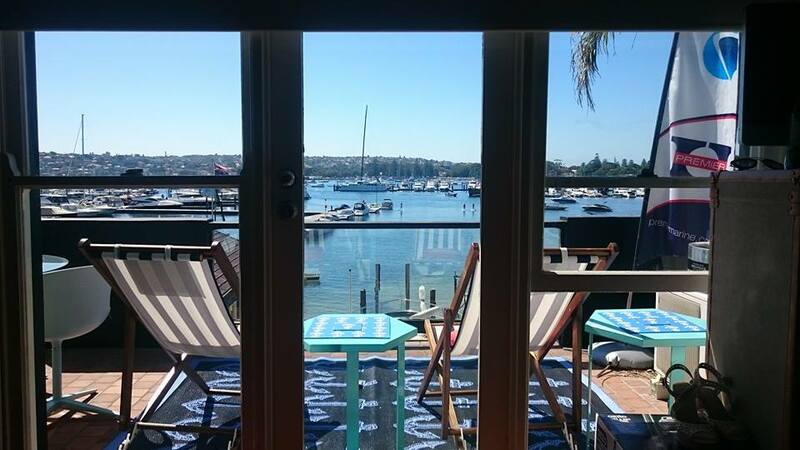 You probably know by now that we've moved our office from Rose Bay Marina to Point Piper Marina. To call this a 'sea change' of gigantic proportions would be an understatement. We've literally moved to a Premier Paradise and it's amazing how our entire business has become greatly enhanced by our new space. Everyone who has visited us says they feel like we've welcomed them into our beautiful harbour front home and that's a brilliant feeling from both sides as we see our business as one of making new friends and welcoming them into the premier boating lifestyle. We hope we will see you all at the Show and if you have any questions at all just let me know. Of course, if you don't make it to the show, feel free to visit us anytime at all at Point Piper Marina! that's great, so nice information about Sydney Trailer Boat Show and General News 2015, thanks for sharing about this wonderful event. I appreciate. Needed long ponytail. Worked with Zala tape hair extensions that was very friendly, helpful and knew exactly what was needed. I tried on a number of things and decided to order a piece in exactly my color. I ordered my color which should be in next week and am looking forward to seeing it. Very nice…. Next on the list is a bullbar, which will be important when it comes to protecting your vehicle from collisions with wild animals such as kangaroos and feral pigs (which are rife in north Queensland). A winch is also handy, and of course is a must-have when you are travelling alone to get yourself out of tricky situations https://www.hemamaps.com/cape-york. Frequently there is a need for a full array of options varying from master keying, door hardware, and electronic devices….